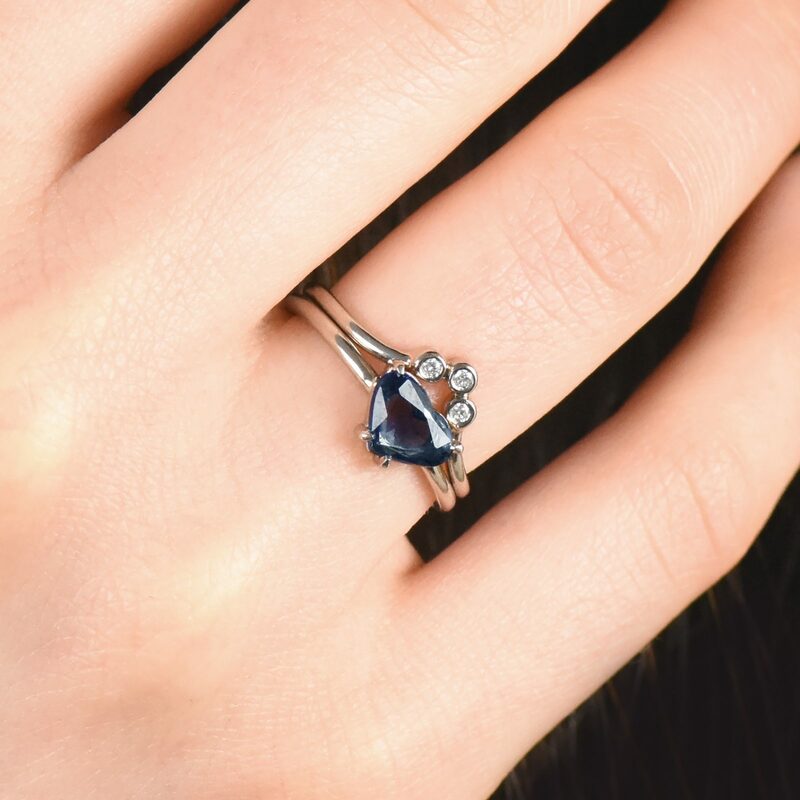 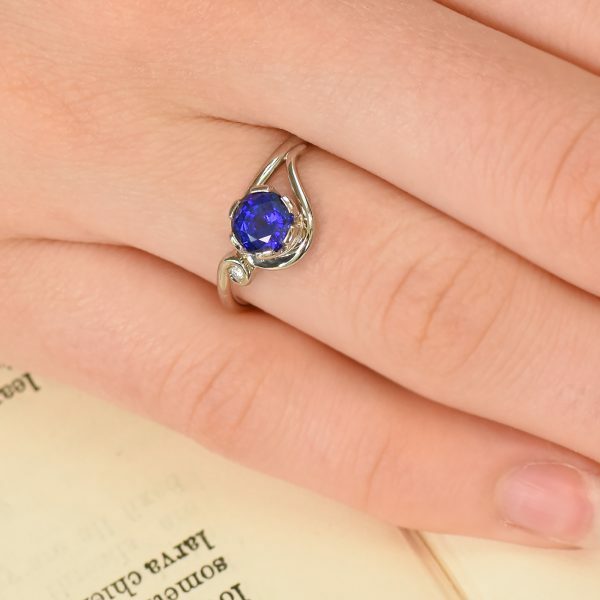 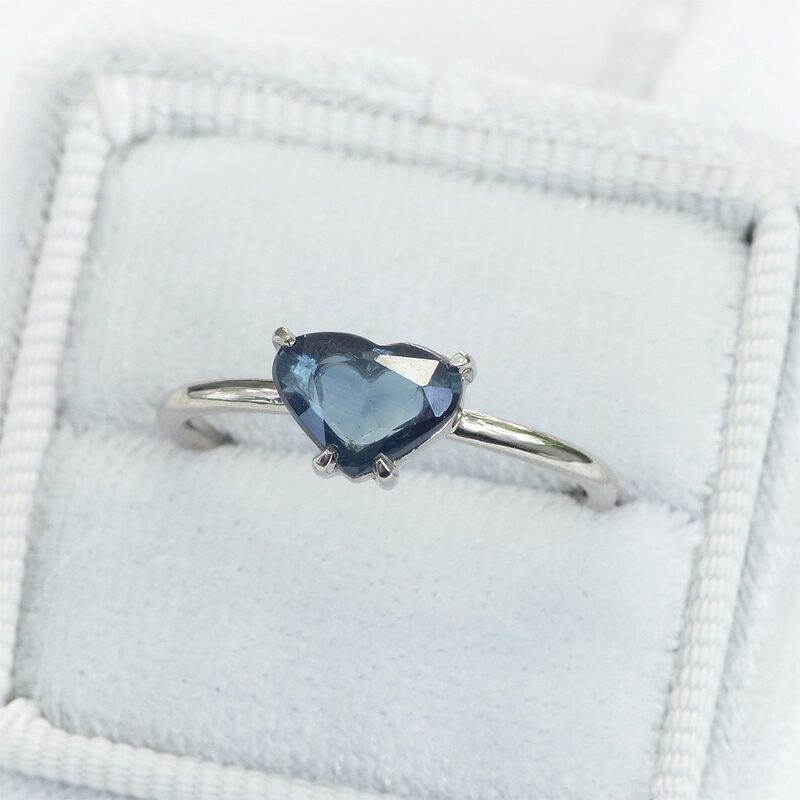 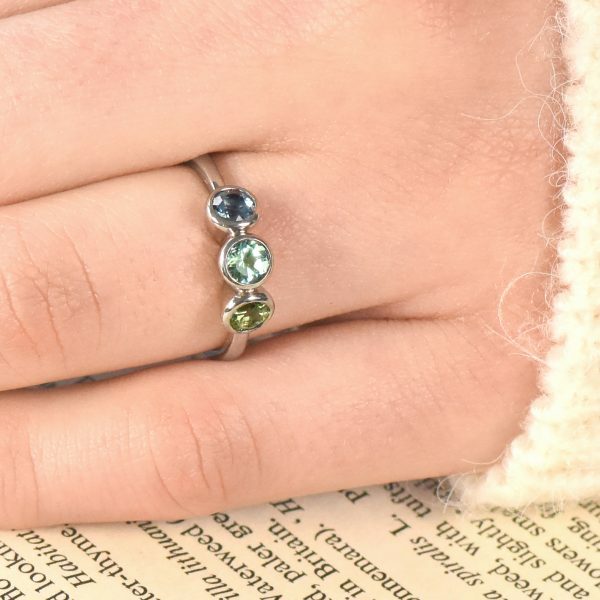 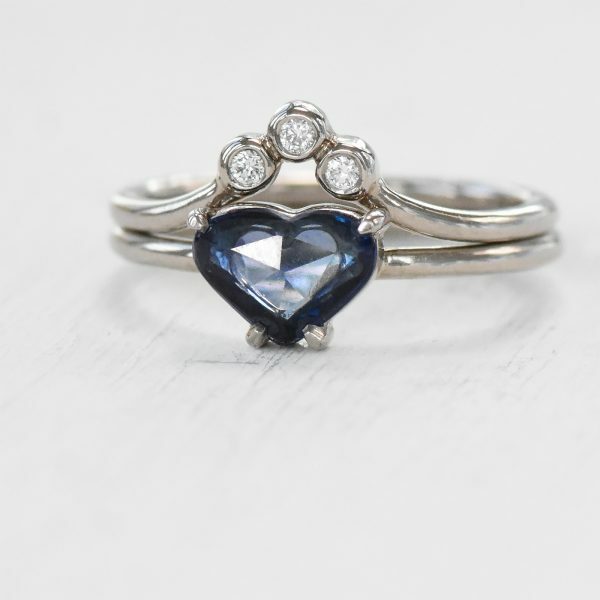 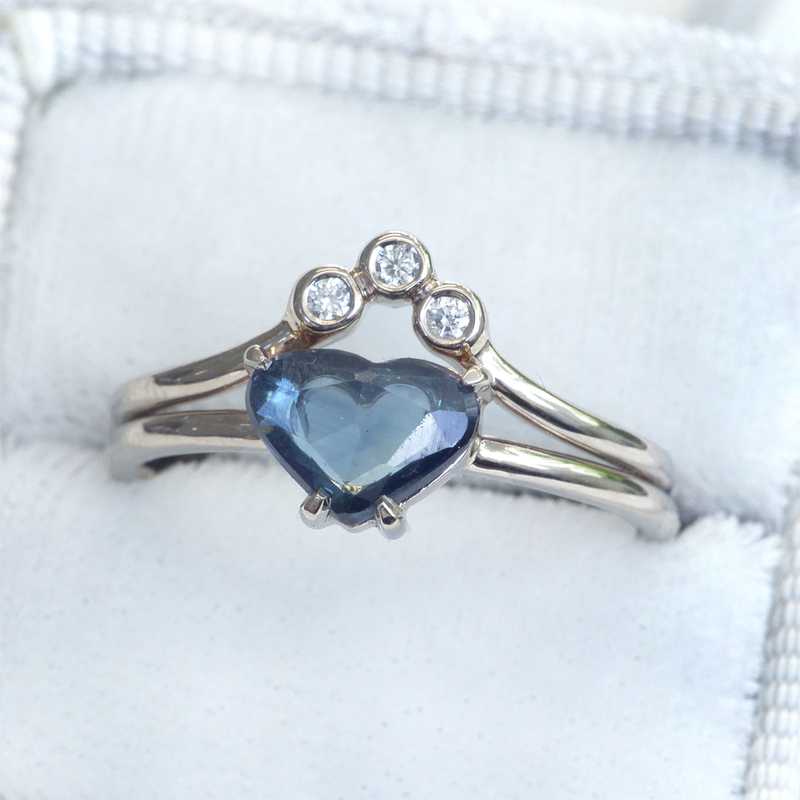 A beautiful 8mm blue sapphire heart is the star of this pretty engagement or stacking ring. 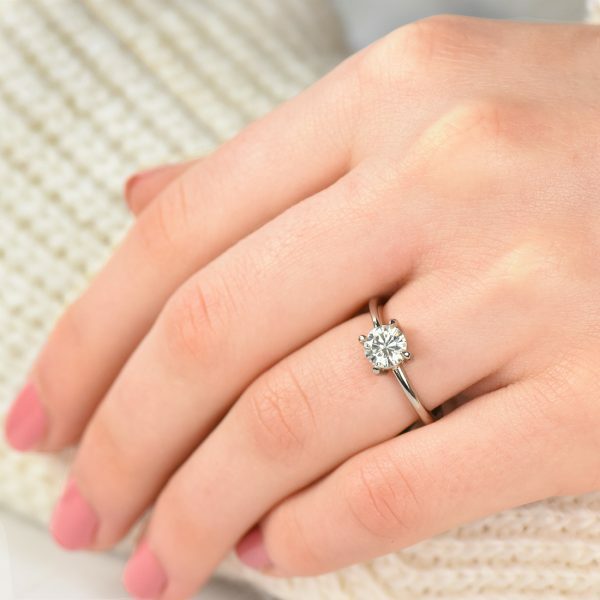 The slim 1.5mm halo band is handmade from ethical 18ct white gold. 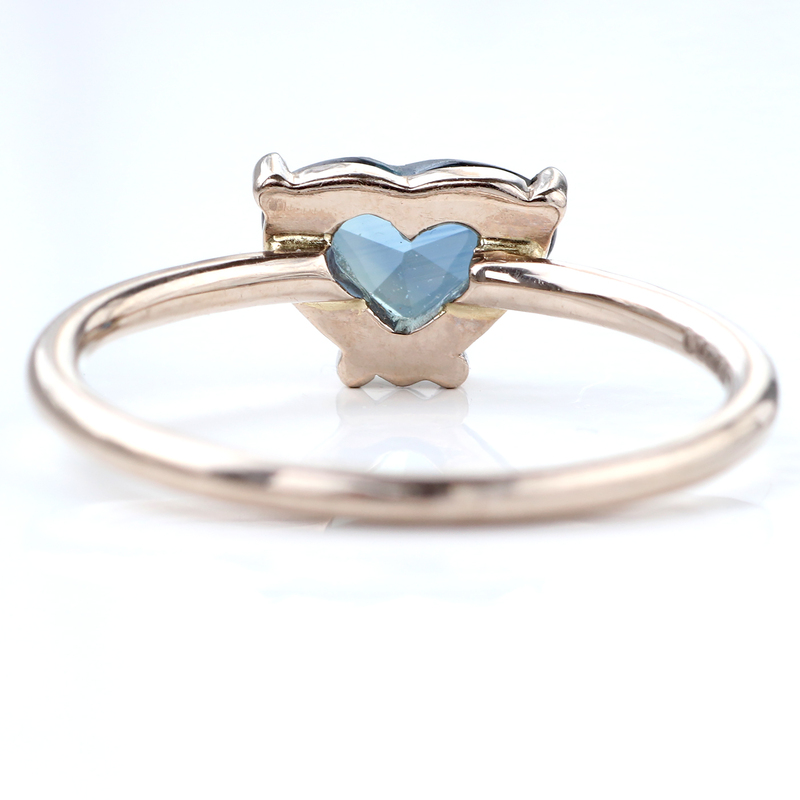 The back of the stone setting has a matching cut out heart in the metal. 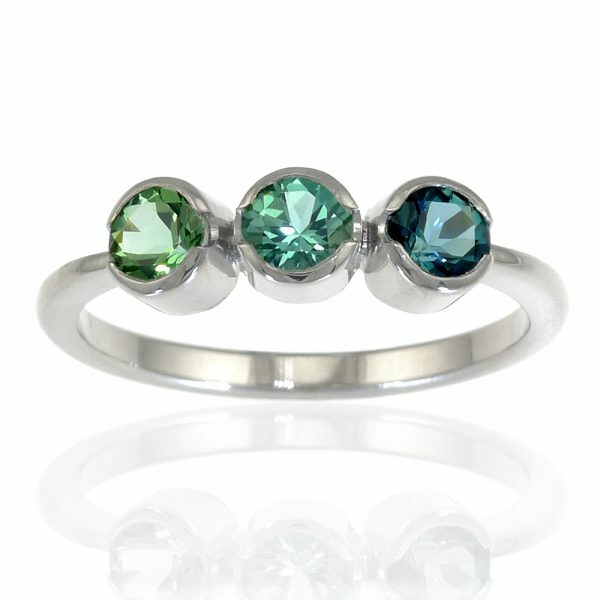 The ring is available for immediate shipping in size L (UK), 5 3/4 (US), 51.5 (EU) , but can be resized. A matching shaped diamond band is also available as part of a stacking set, please see 3rd, 4th and 5th images. 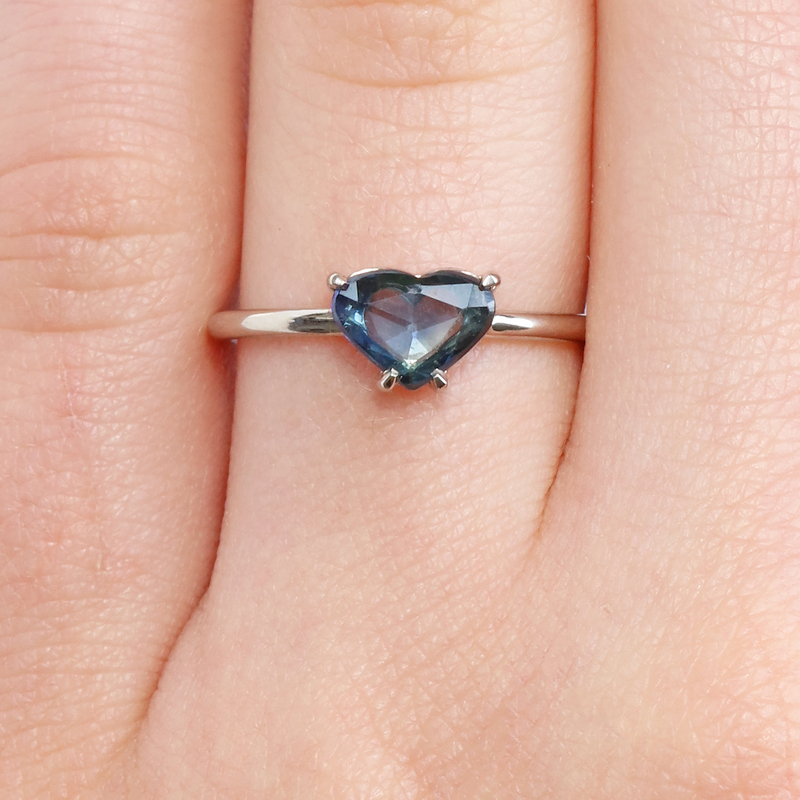 A beautiful blue sapphire heart ring in 18ct white gold. 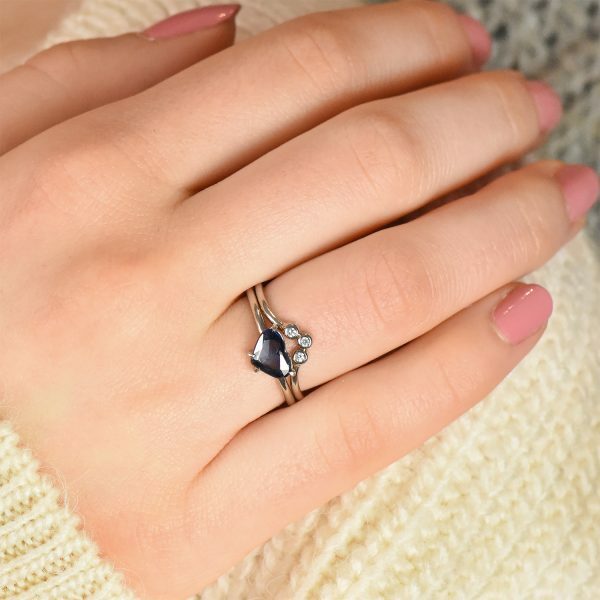 One of a kind design, available to ship in size L – Delivered the next working day when ordered before midday. 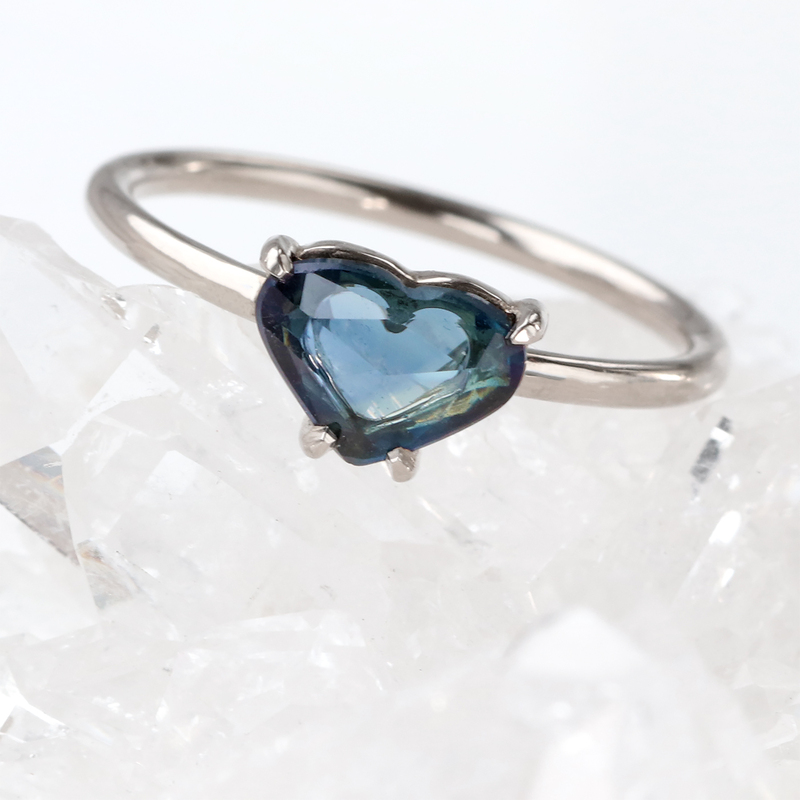 Handmade in Lilia’s Lechlade-on-Thames studio. 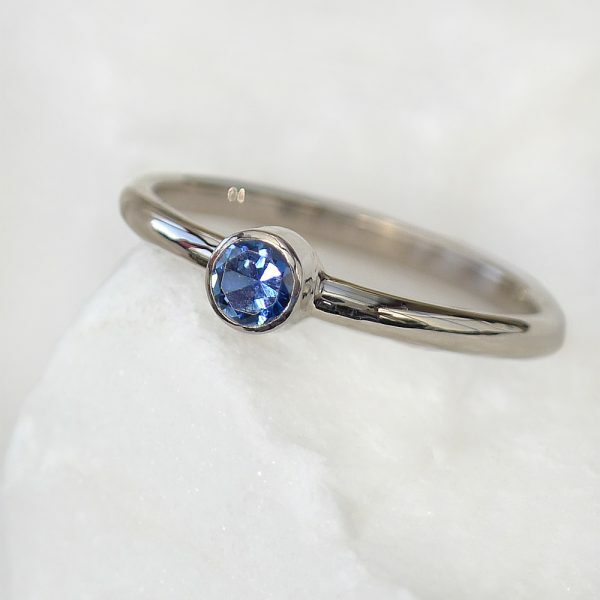 The ring is hallmarked by the Birmingham Assay Office and will be presented in our custom made jewellery box. 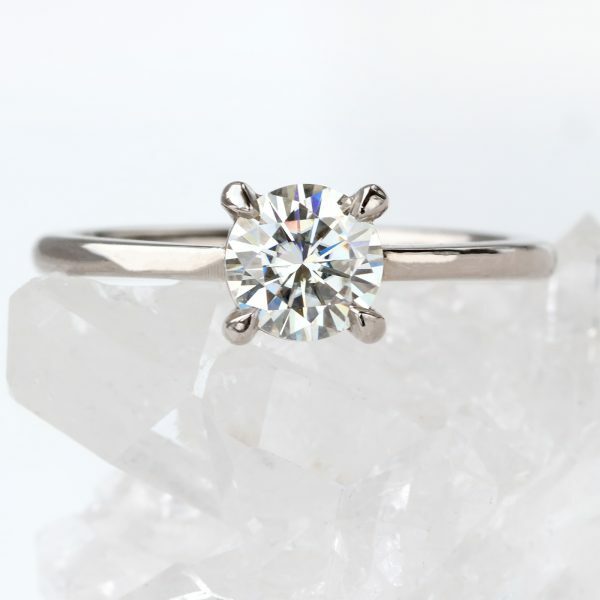 The ring may be resized a few sizes up or down from an L. Please contact me for a quote. 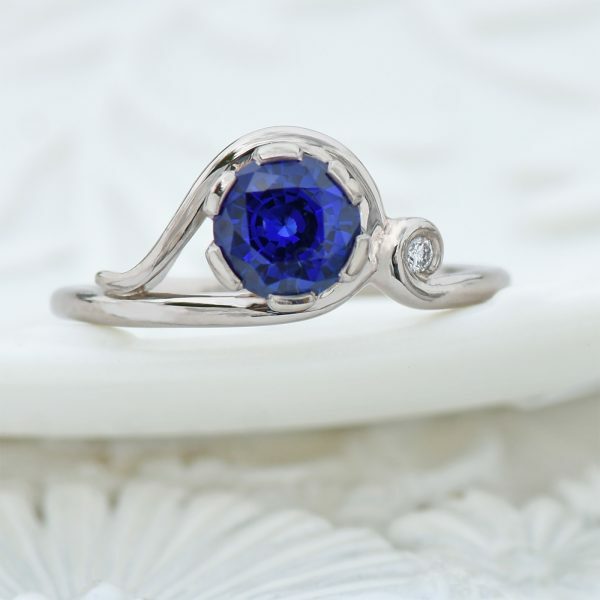 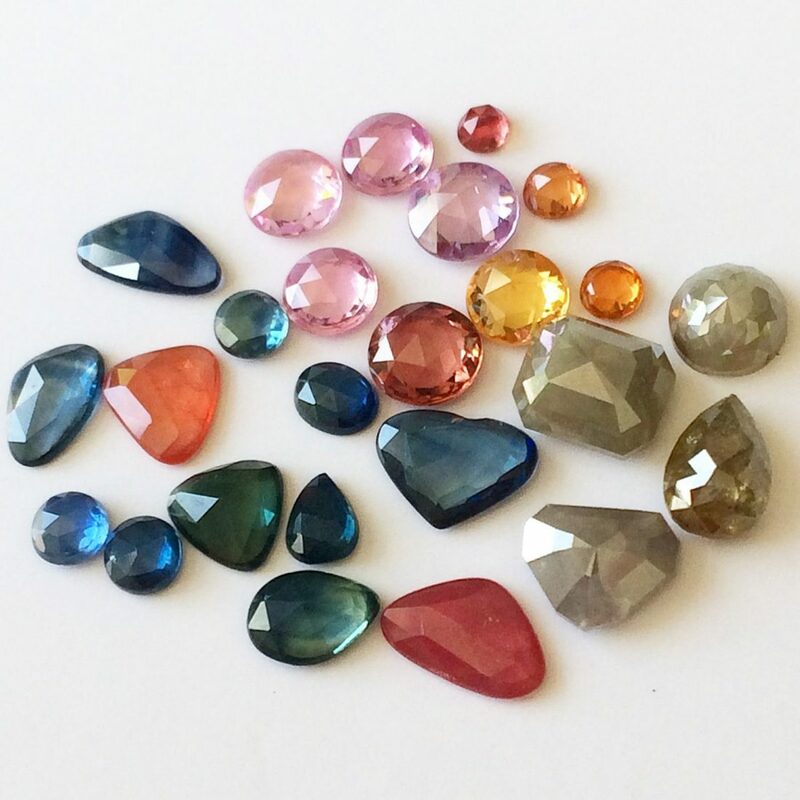 A ring can also be made with any of the sapphires in the final image.